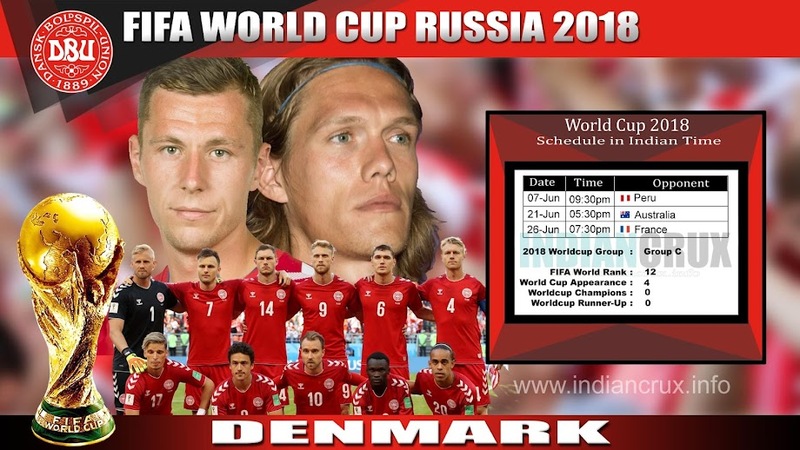 Denmark Team Schedule and Results at FIFA World Cup 2018 are here in Live action. Stay tuned with Indiancrux for the live updates of FIFA World Cup 2018. Denmark Playing in Group C at FIFA World Cup 2018. First match was against Peru and won by 1-0 and second match against Australia, then against France. At FIFA World Ranking, Denmark is at 12th place as per 7th June 2018 and they were at 3rd in May 1997, which was their best world ranking ever. Denmark made their international debate against France in 1908, which was a big 9-0 victory. Their biggest victory for all time was in the same year against France (17-1). 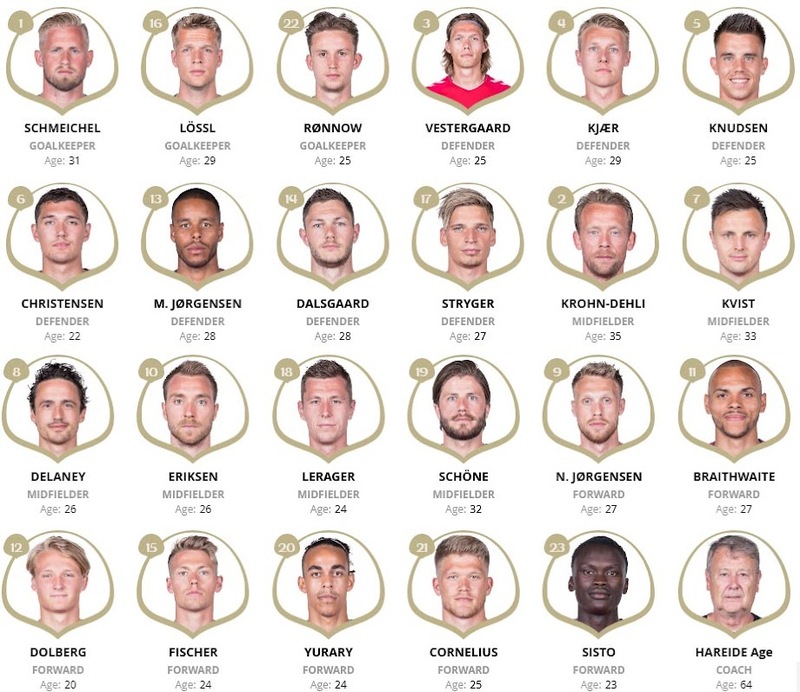 Denmark appearing their fifth world cup. In 1998 world cup hosted in France, Denmark reached quarter final, which is their best result in World Cup history. Denmark won the European Championship title in 1992 and Confederations Cup title in 1995.